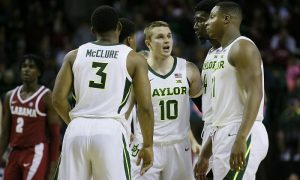 Each week Heartland College Sports will rank the men’s basketball team’s in the Big 12 Conference, based on play from Jan. 21-27. True, the Wildcats went on the road and lost big to Texas A&M. But before that K-State took a huge one at home from Texas Tech and slid into a tie for first place in the Big 12. To me, that’s enough to keep them in the top spot this week. The Jayhawks slide back into the No. 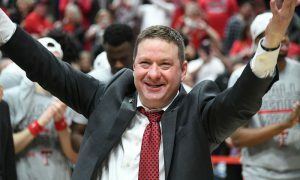 2 spot after their win over Iowa State, avenging their earlier loss to the Cyclones. Dedric Lawson is cranking out double-doubles at an alarming rate for Big 12 opponents. The loss to Kentucky hurts, but only when it comes to tournament seeding. 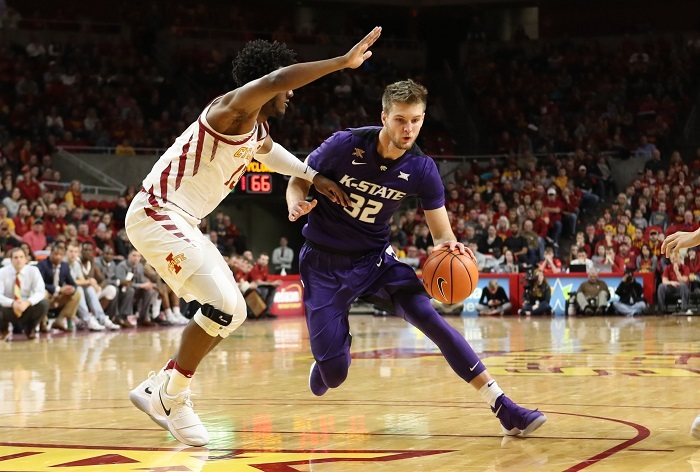 The Cyclones lost a close one on the road to Kansas. But the bounce-back win on the road against a ranked Ole Miss team was one of the two biggest wins of the Big 12-SEC Challenge. Talen Horton-Tucker had a huge week for ISU and this team continues show its ability to lean on different players at different times to win. 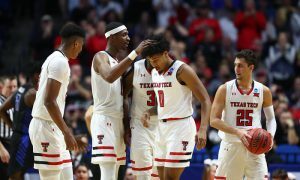 The Red Raiders lost their only Big 12 game this week (to Kansas State) but put an end to their three-game losing streak by beating Arkansas. Perhaps the Red Raiders are making a turn for the better. 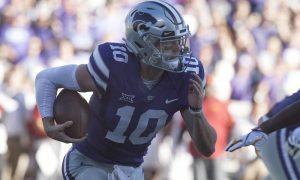 But big games with TCU and Kansas loom the next seven days. I wasn’t sure what to do with the Nos. 5, 6 and 7 spots this week. 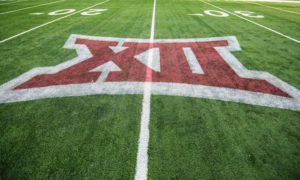 All three teams went 2-0 for the week and none of them played the upper echelon of the Big 12. So, at least for this week, I’ll admit to taking the easy way out and leaving these three teams where they were last week. 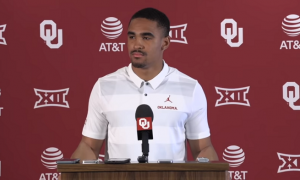 The Sooners beat Oklahoma State and Vanderbilt last week, and the continued emergence of guard Jamel Bieniemy is going to help them the rest of the Big 12 season. Baylor is certainly impressive right now. The Bears are starting five guards right now, but the real trend to watch is a bench that is starting to really grow and contribute. The Bears have four players that can make a contribution off the bench now, including Devonte Bandoo, who had a great week for the Bears. Kouat Noi put together one of the best weeks of any player in the Big 12. He’s also turning into the Horned Frogs’ No. 1 offensive option. He’s hard to defend and he’s an efficient 3-point shooter. Despite the injuries and the four players in the transfer portal, Jamie Dixon has a dangerous team. As long as Noi and Alex Robinson stay healthy, this team can play with anyone. The Longhorns have a solid group of weapons. In fact, five different players hit double figures last week. But the team as a whole isn’t coming together right now. 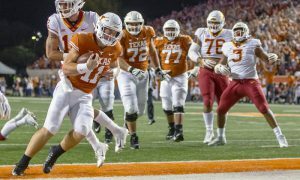 But Texas, to me, is better than the two teams below it this week. But the gap may be closing just a smidge. The Cowboys move up a spot after taking South Carolina at home. But the depth issues persist after the dismissals. 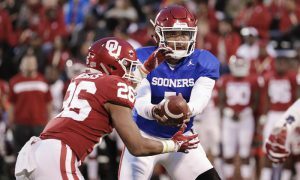 The Cowboys squandered a chance to upset the Sooners at home. The Mountaineers went 0-2 for the week. But at least they didn’t fly to Knoxville via Phoenix.